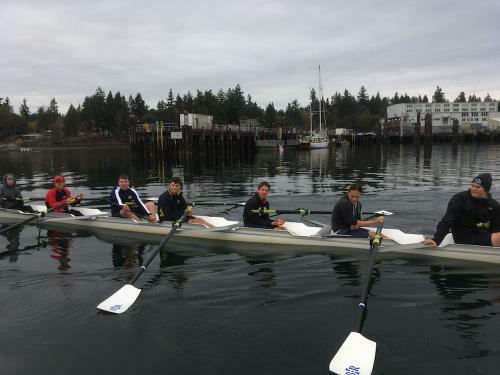 Bainbridge Island Rowing offers a variety of sweep and sculling opportunities for both recreation and racing. Qualified Masters are welcome at all rows. Qualified visitors are also welcome to row for free up to two times. If you plan to row, please login to iCrew to sign up. Check with the rowing coordinators (see Programs page) or coaching staff if you have questions about which program is best for your experience and skill level. Each rower must complete the following requirements before they can participate in a BIR Masters rowing program. Be at least age 19 with either prior rowing experience or completion of at least one Learn to Row session. Sign the USRowing Waiver of Liability electronically. This waiver must be signed annually. If a paper copy is desired, click HERE. Sign the BIR Participant Waiver and Release form. Submit a medical authorization form, obtained from your primary care physician and good for two years. Complete a float test, which can be scheduled at the Bainbridge Aquatic Center. Download the Float Test Form. Complete a lift test to demonstrate you can lift 35 lbs. overhead with two hands. Rowers who desire to take out a BIR-owned single/double/pair without a launch on the water are required to complete a flip test, which can be done by scheduling one with the Bainbridge Aquatic Center. For those who are interested in improving sculling skills, a captain’s test is available here: Captain’s Test Form. Read the BIR Safety Policies and BIR Member Expectations. They contain important information that all rowers must know before going on the water. 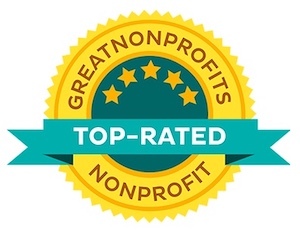 Volunteer: BIR is a mostly-volunteer organization, and your participation as a volunteer is both required and key to the continuing success of BIR. The goal is two hours of volunteer services from each Master rower for each on-water paid-program month during the calendar year. Coxing doesn’t constitute volunteer service. Group work parties to clean and service our boats, launches, and boat yards do count, as does helping with key events like our Grand Old Fourth booth and One-Call-For-All envelope stuffing. If you plan to only participate in recreational rowing and NOT compete in regattas, you may register for a Basic Membership ($9.75). If you plan to row at Regionals this June, you will also need to add on the “Regatta Package” ($25.25-$40.25). We recommend that all rowers consider a Championship Membership because of the additional insurance coverage that comes with it ($45-$65). BIR Masters Membership Fee: $180/year (pro-rated to $90 if joining after July 1). Annual: $898 for rowing, erging, etc. throughout the year. Due February 25. Spring season (February 26 to June 30): Fee is $538 . Due February 25. Fall season (July 2 to November 2): Fee is $538. Due July 1. 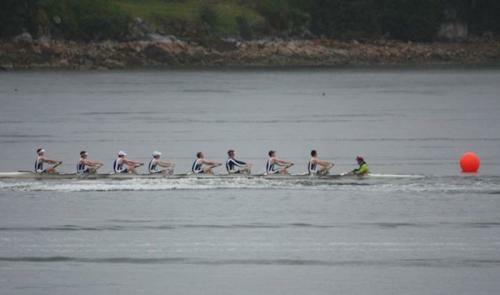 Sculling (April 23 to October 26): Fee is $793. Due April 22. 1. 2019 Annual Rowing Fee (see above). 2. 2019 Winter erging: Fee is $165, due 12/2. 3. 2019 Fitness Punchcard with a positive balance (unused punches) (see “irregular schedules” above). Feel free to contact our Treasurer (Kurt Frost) with any questions. Scholarships may be available based on need and funding availability. Please log in to iCrew to register (you may set up an account if you don’t already have one). Have your medical information (doctor, insurance) and USRowing number in hand before you log in for registration. After you have finished filling out the online BIR registration form you may choose to pay by check, credit card, bill pay, or electronic payment (see below). 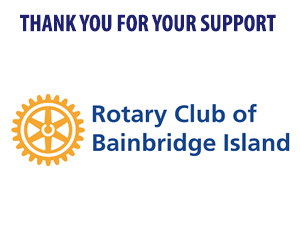 Once registration is complete, you will receive an email from info@bainbridgerowing.org, with your completed Medical Authorization and Waiver attached. Sign and mail a copy of the waiver to BIR at 221 Winslow Way W., #102, Bainbridge Island, WA 98110, along with a check for payment, if appropriate. Bill Pay: Directs your bank to issue a check to BIR. Please direct your bank to deliver it to BIR’s mailing address. Electronic payment: Direct transfer from your account to the BIR checking account. 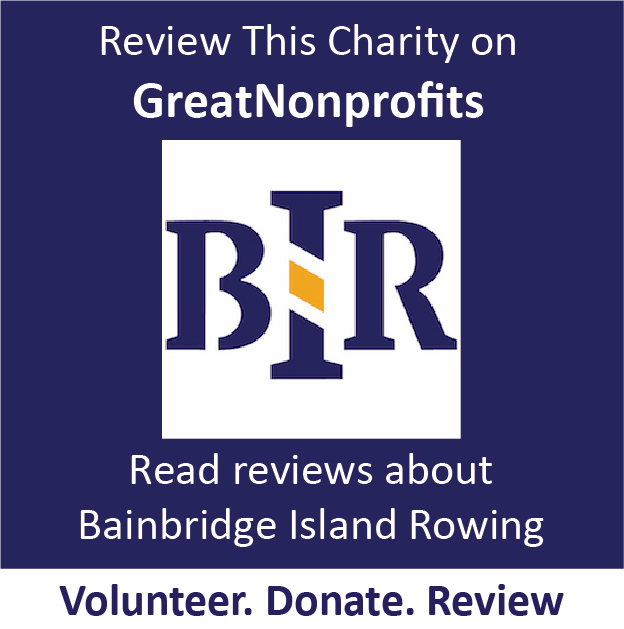 Email treasurer@bainbridgerowing.org for the BIR checking account details. Check: Mail to BIR’s mailing address. Credit card: Visa, MasterCard, American Express, or Discover. Please contact treasurer@bainbridgerowing.org if you would prefer to work out a payment plan for your fees. Uniforms are ordered from JL Racing Orders are taken once per year. A limited number of rack spaces are available to current BIR members for non-BIR boats (singles and doubles). For details, see the BIR Boat Storage Agreement. Rack fees for the year depend on which tier you select and will be paid on 1 March or as arranged with BIR. 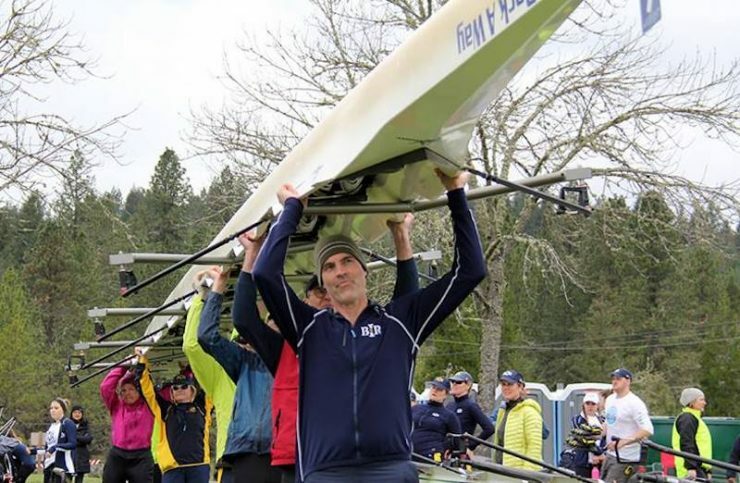 Visit the Forms & Documents page for any additional forms not found here, including BIR bylaws and policies, as well as links to other helpful rowing websites.